Listen to the Podcast conversation with Rev. Bianca and Joel de Jong by clicking the photo or one of the links below. 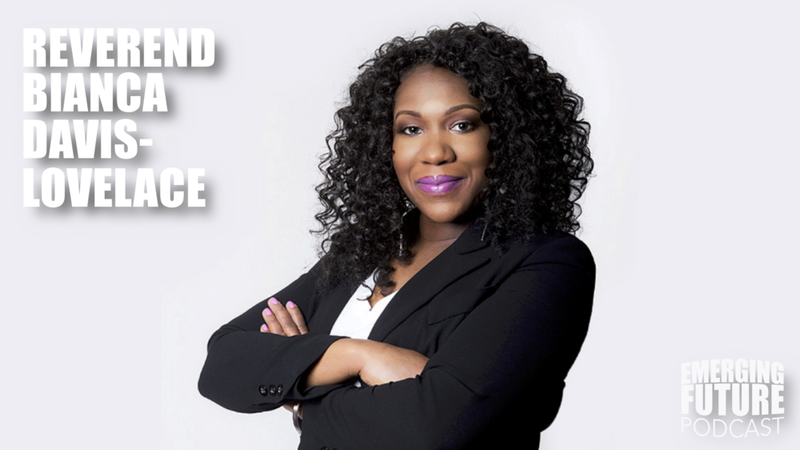 Activist Reverend Bianca R. Davis-Lovelace is on a mission to fight on behalf of the marginalized, oppressed, and poor against systemic inequalities and injustices. Raised on the South Side of Chicago in a working class family, she learned to serve justice from her mother, a Chicago Police officer, and to love God from her father, a Baptist pastor. Reverend Bianca found her calling to activism in her twenties and grounded herself in that purpose by becoming a master of divinity. Among the many titles Reverend Bianca carries, she is Tri-Chair of the Washington State Chapter of The Poor People’s Campaign, a National Call for a Moral Revival, which is uniting tens of thousands of people across the United States to challenge the evils of systemic racism, poverty, the war economy, ecological devastation and the nation’s distorted morality. The Poor People’s Campaign is reviving Dr. Martin Luther King Jr.’s campaign of the same name exactly 50 years since 1968, when Dr. King was assassinated. Now 2018, 50 years later, beset by deepening poverty, expansive ecocide, systemic racism, and an economy harnessed to seemingly endless war, “The Poor People’s Campaign: A National Call for Moral Revival” likewise beckons our nation to higher ground. With a modernized playing field, in the midst of a digital revolution, ubiquitous internet phone connectivity and social media combined with a keen sense of distributed organizational structure and resilience, Reverend Bianca is confident that the campaign will be effective in boldly carrying Dr. King’s anthem forward, changing the narrative, and making lasting change at the intersection of today’s deepest injustices. This conversation serves as part one of a two-part series on Reverend Bianca and the Poor People’s Campaign.